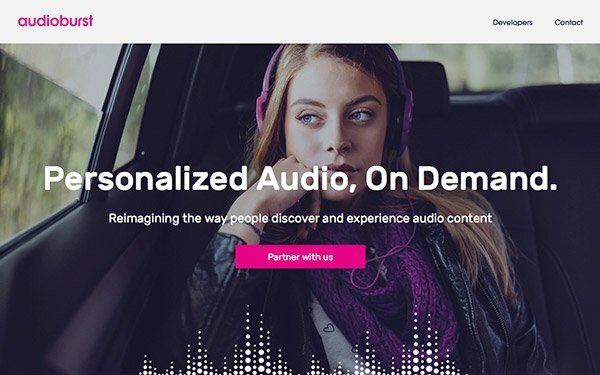 Audioburst, an AI-powered audio content platform, has launched a search engine for desktop and mobile allowing searchers to find and share audio files aggregated from sites like BBC World News, The Brian Joyce Show, and CT on the Hill. The audio clips are categorized by U.S. News, World News, Business, Tech, Sports, Health, and Entertainment. On the platform, users can search for live and pre-recorded audio segments from radio shows and podcasts. Sites like National Public Radio offer a way to search for audio clips, but Audioburst claims that the larger search engines like Google and Bing don't do an adequate job of indexing this type of aggregated content from multiple sites and serving it up on search engines. For instance, typing "Charlottesville" into the search box on Google or Bing basically returns written news articles and videos. Each one- to three-minute audio clip stored in Audioburst’s Content Library is retrievable through the company's search engine and major engines such as Google, Bing and Safari.